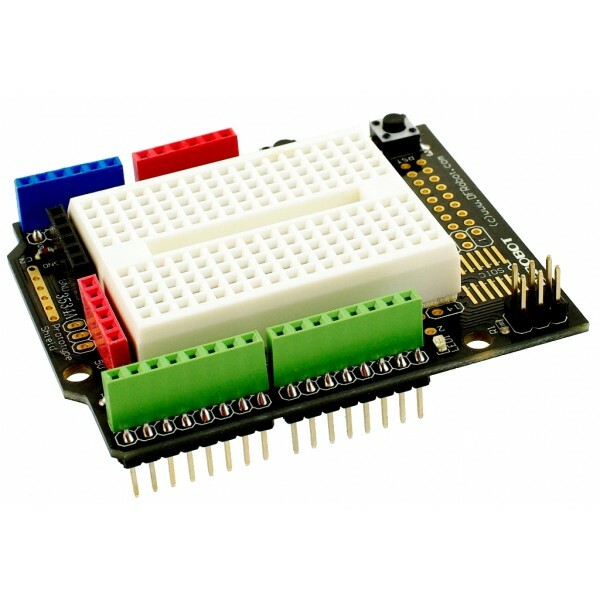 The DFRobot Arduino Prototyping Shield allows you to create a small prototyping board to connect the Arduino Microcontroller. Prior soldering experience is recommended. The components can be welded directly on the board. You can also connect the above mini-bread board circuit. The Mini-bread Board is sold separately.